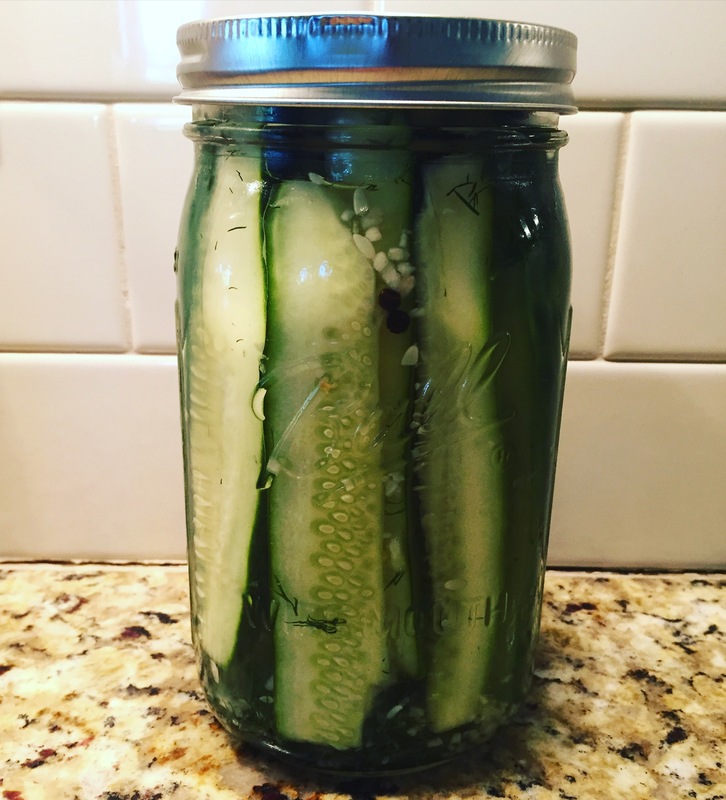 Another summer staple is the almighty dill pickle. Nothing completes the sandwich and chips trio more perfectly. 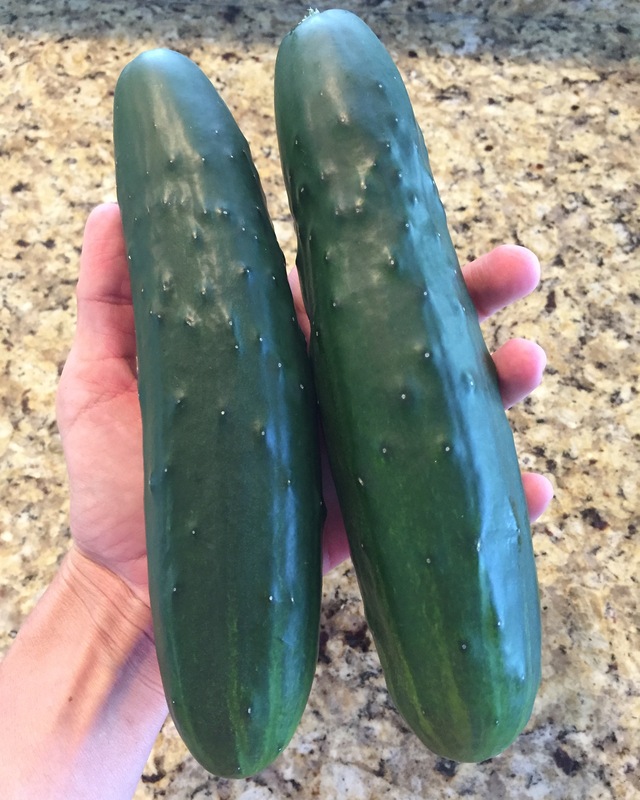 Well, with the insane amount of cucumbers we have growing, I knew I wanted to not only have cucumber water in the fridge daily, but also plenty of pickles! They could not be any easier to make. 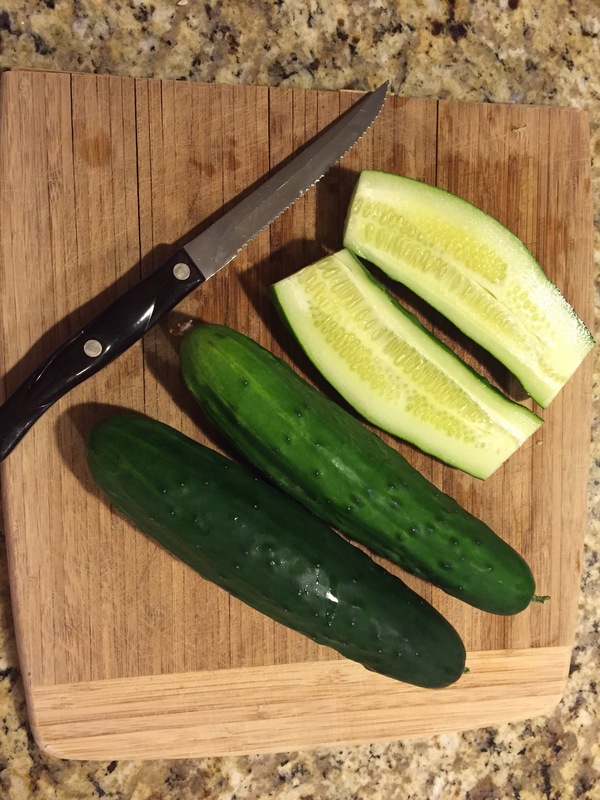 I used 3 of our garden fresh cukes about this size. Chop off the tops and bottoms, and slice the haves into spears.